Corruption may end in Nigeria this year! Solid minerals as revenue earner? The Presidency on Wednesday said it will not respond to request made by the Peoples Democratic Party (PDP) that President Muhammadu Buhari should speak up personally on allegations that members of his family acquired majority shares in telecom giants, Etisalat (now 9mobile) and Money Deposit Bank, Keystone Bank PLC, until the opposition party provides evidence to back its claims. National Bureau of Statistics, NBS, yesterday, reported that the Federation Account Allocation Committee, FAAC, shared N467.85 billion among the three tiers of government in August 2017. 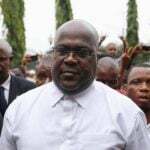 Democratic Republic of Congo’s president Felix Tshisekedi is struggling to fulfil the pledge he made to crack down on rebel and militia groups in the troubled North Kivu province. 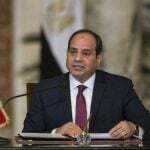 African leaders are meeting in Egypt on Tuesday where they will address developments in Sudan and Libya, in the first emergency summits since the two nations were rocked by popular protests and an invasion on the capital respectively. 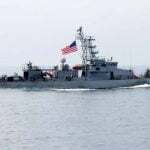 The spokesperson for the Iranian Foreign Ministry, Abbas Mousavi, issued a statement on Monday that warned of “adverse consequences” if the U.S. ended their sanctions waiver on the Persian Gulf nation’s oil imports. 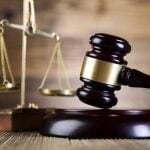 The Uyo Zonal Office of the Economic and Financial Crimes Commission, EFCC, has arraigned one Saviour Inyang before Justice Okon A. Okon of the State High Court, sitting in Uyo, Akwa Ibom State, on a one count charge bordering on issuance of dud cheque. 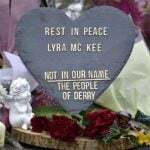 Dissident republican group the New IRA admitted on Tuesday responsibility for killing Northern Irish journalist Lyra McKee during rioting in the city of Londonderry last week, in a statement to The Irish News. Intense hunger as a result of the inadequacy of food items in an Internally Displaced Persons (IDP) camp in the outskirts of Bauchi, has forced adolescent children to feed on onion leaves for survival. 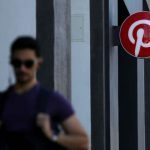 Pinterest on Wednesday announced it would price its initial public offering at $19 a share to begin trading on Wall Street the following day. 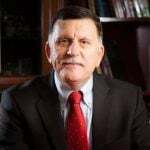 The United Nations’ top envoy for Libya has said that renegade General Khalifa Haftar tried to stage a coup when he issued an arrest warrant for Prime Minister Fayez al-Serraj of the Tripoli-based Government of National Accord (GNA). 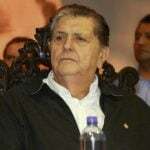 Former Peru president Alan Garcia died in hospital on Wednesday after shooting himself in the head at his home as police were about to arrest him in a graft investigation, a party official said. 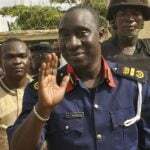 The Nigeria Security and Civil Defence Corps, NSCDC, and a Civil Society Organization, Royal Initiative against Poverty and Starvation, RIAPS, have staged a workshop to improve security agents’ capacity to fight violent extremism in Nigeria. © Copyright 2019 - Pista Ltd.